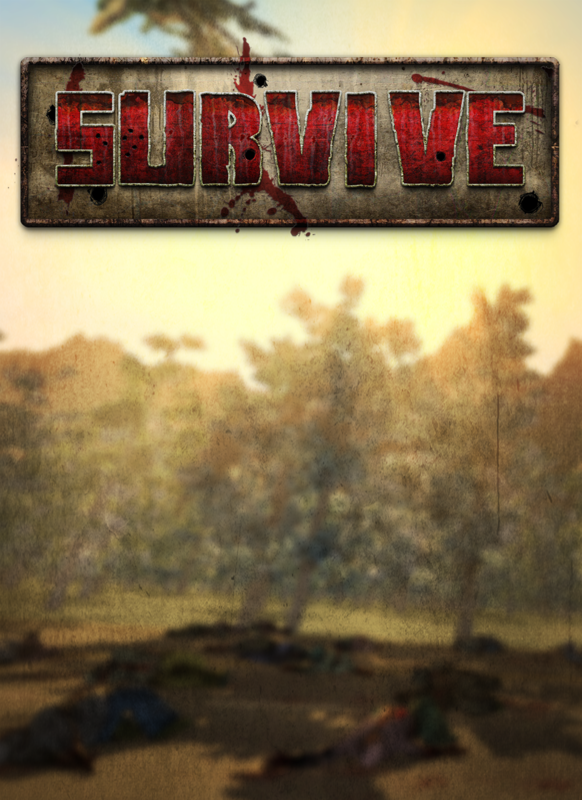 Survive is very early in development and is using a game engine completely written from scratch by Subsurface Games. Most of the development work so far has gone into creating the engine. The engine just go to the point where all future work is being devoted to gameplay. You can think of this game more as a zombie apocalypse simulator. If you think right now in your head your exact plan for a zombie apocalypse (which I'm sure all of you have thought of at least once) I want you to be able to do it in the game. The whole goal of the game is to simply survive. There are no quests, there is no story line, and there are no goals. The only goals you have are the ones you set for yourself to survive, such as find guns, find food, find water, or find shelter. Everything that you think should be possible in the game will be. If you want a natural source of fresh water then maybe you should find a cabin on a river. If you don't want to worry about food go to the nearest grocery store and barricade the doors. Think you will need guns (you will), then head to the police station or the nearest sporting goods store. Worried about the heavily populated areas like stores being overrun with the infected (they will be), then maybe the cabin on the river is a better idea. The point is everything will be as true to life as possible to create a genuine zombie apocalypse experience. The game world will be completely procedurally generated and you will start in a random house in a random person's life (you will most likely be able to customize you character and his/her attributes). You wake up to the dynamic sounds of npc screams and police sirens in the distance. You must do whatever it takes to survive. Because the world is procedurally generated it allows for unlimited replay ability. The game will never get old because you will always play in a new world with new challenges and places. The procedural generation will also allow for one of the most important parts of this game. It will allow you to enter into literally every single house and building you see without a loading screen. I really hate it in games when, as the player, you see a house or a building in the distance and really want to go inside it only to be disappointed and pulled out of the game world when you realize you can't go inside. It reminds you that you are just playing a game and not really running for your life in a zombie apocalypse. The only problem is that it's just way to time consuming to have an artist or a designer go though and lay out every single house or building in the world and fill them with props. The only realistic way we could achieve this is with procedural generation. Survive has been Greenlit! Survive will be released on Steam early access when it enters Alpha in a few weeks. Thank you for all the support and yes votes, you guys are awesome! There will be a video showing the new update in a few days! 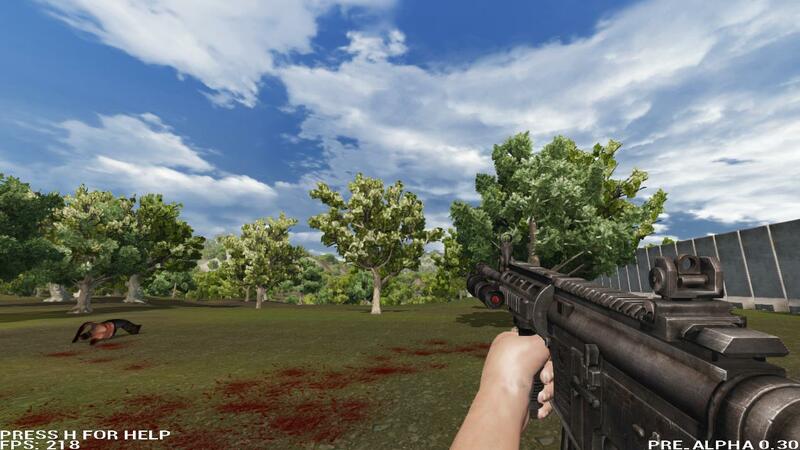 Here is a screenshot of the new gun and arms to tide you over. Survive is on Steam Greenlight! Survive is on Steam Greenlight! You can help support the game and get it on steam by going to vote yes on the Greenlight Page! have to download the game? have you tried updating to the latest graphics drivers? Your card should work just fine. The game only needs DX10 level hardware and that's DX11. Game looks great but can you make a Demo? i Would like to play it before anything. Don't buy it. It's not even close to a game yet. I really want to give you guys steam keys, but its out of my hands right now. To get the large amount of keys needed for the bundle I had to get release keys that only work after the game is released on steam. The reason people who preordered from my site can get steam keys that work right now is because I got their keys at a much lower volume from valve so I could get pre-release keys. I'm sorry, but that's the only way I could do it. I'm going to ask dusura to release your steam keys to you soon so you can make an account on our new forums, but they aren't going to work until the game is released on steam officially. You will also be able to download the game from my site so you wont have to wait for the ridiculously long approval time when I upload it here. Kickstarter have it on Steam ! Theres no steam access yet, no appearance anywhere on steam currently.